He brings a special warmth to our Bet Tefilah (House of Prayer) through his unique leadership style and musicianship. His commitment to social justice, along with his dynamic and creative teaching skills enhance our Bet Midrash (House of Study), encouraging students, both young and old, to engage in the joy of Jewish learning. Our Bet Knesset (House of Communal Gathering) is blessed by his devotion to community, sense of humor and the warmth and openness he extends to each of us. Rabbi Gottlieb lives in Pacifica with his beloved wife, Ricki Weintraub, and their dog, Dinah. We are blessed to have Rabbi Gottlieb with us at Congregation Beth Israel Judea. 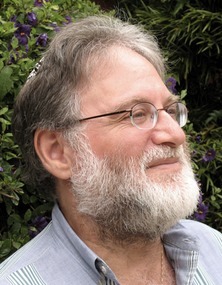 Here is Rabbi Gottleib’s column from the Jan.-Feb. issue of the BIJ Bulletin.